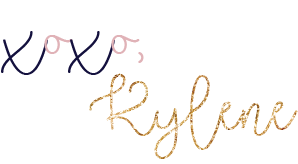 I touched on this last week when I answered the questions, "Where the heck do I start?" but I wanted to dig a little deeper into this concept of under eating because it's a pretty common habit actually! I'm going to give you some personal examples. I pick on my family because I love them and as a health coach I bug them all the time about this stuff. My Dad is a chronic under eater. He was a professional athlete in college, in amazing shape, and still is. He also began his own business, raised a family of 3 daughters and subsequently has dealt with a tremendous amount of stress in his life! He clings to his health by working out hard, but I constantly see that in order to sustain the burden of stress (mental and physical) that he endures, he needs to eat probably 2x the amount of calories he is currently taking in. As with many people, the fear is there of weight gain. Quickly I'll give you another example (surprisingly these are both MALE examples but typically this is a common factor in FEMALES)...my husband. Now my husband doesn't do this on purpose. In fact, since I estimated his calories a few weeks ago he was shocked and has become intentional about packing MORE food for work. The problem for him is that he gets busy. He eats a great breakfast, he heads to work, he eats whatever he has packed, and then he eats whatever I make for dinner. This is probably ok if he isn't running several times a week and lifting heavy several times a week. But in THOSE cases, he needs to be more intentional about fueling his body and could stand to almost double his caloric intake. So let's talk about the fear of weight gain. Because I totally understand that! Here's the super GOOD and also super obnoxious thing about our metabolisms. They adjust. So if you eat less, your metabolism slows down. You eat more, your metabolism speeds up. This is an interesting phenomenon that is certainly a mental game at first because when you begin to experiment with this you MIGHT GAIN WEIGHT. Typically, that is short lived and your body will find a new balance eating MORE calories than before. You WANT to be on the highest end of this as you possibly can be. Essentially, you want to get as many calories (aka NUTRIENTS) in your body each as possible to fuel your brain, hormones, energy, etc....as possible while maintaining a healthy weight. 1) You are extremely active but can't lose weight. In my recent podcast "Workout Obsession" I shared how when I was training for the Beachbody classic I doubled my workouts AND cut my calories. Not surprisingly ( looking back) I plateaued immediately and could no longer lose weight. I should have INCREASED my calories to support the extra burden I was placing on my body, but instead I increased my exercise and decreased my fuel. The night the show was over I had a huge steak that was probably soaked in butter and the next day after WEEKS of the scale not budging, I lost a pound. A POUND! Normally physique competitors tell stories of gaining 5lbs overnight from all the salt and garbage foods they ate (just another reminder that REAL FOOD ACTS DIFFERENTLY IN YOUR BODY THAN PROCESSED FOODS). If you've increased your exercise recently but haven't lost weight, your body may be begging you to support it with the proper nutrients. If you have recently cut your calories and haven't seen a budge your body might be in survival mode. When your body thinks it's in danger whether from a tiger or lack of food, it produces cortisol. Too much cortisol for too long a period of time stimulates fat storage and makes it difficult to lose weight. This may be an indication of calorie deprivation OR nutrient deprivation. For example - are you getting enough healthy fat? Healthy carbs? Vitamins and micronutrients? Make sure you're getting ENOUGH food so that your body knows it's safe. Once it's in the safe zone the weight will being to shift again. 3) You miss your cycle or it becomes irregular. Hormones are a delicate thing. As women, it's easy to look at guys get all shredded and think " I can do that too!" And in fact you CAN....but it might not be HEALTHY. This can become more of an issue after a certain age and/or after a prolonged period of time. Sure - you want to try competing one time? If you have no health issues, no hormone imbalances, and are young - go for it. But more often than not, our bodies are not MEANT to be that lean for long periods of time...or...ever really. Women in particular have more subcutaneous fat. This is by DESIGN because of our hormone cycles and our physical ability to create and carry other humans. It's for our protection! 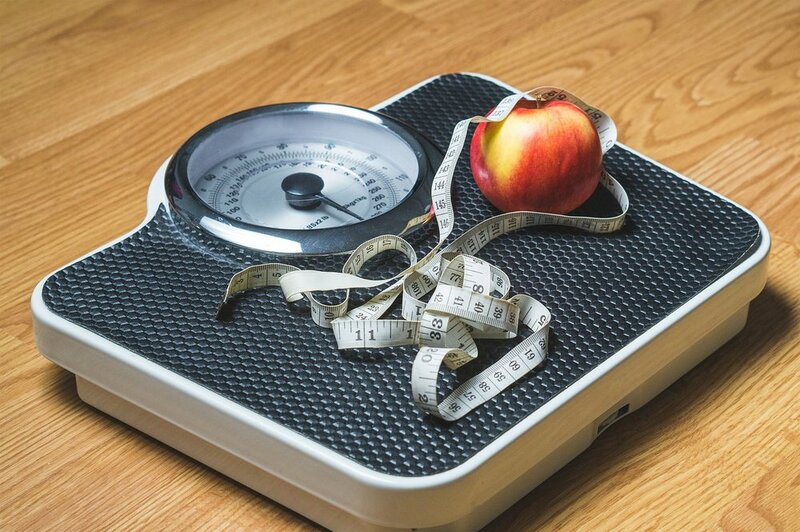 When a women goes through an extreme body change, diet change, or any situation where her body fat dips too LOW, she is in danger of essentially ruining her metabolism and creating a life of hormonal imbalance and struggles. Missing a period, while we might think that sounds GREAT, is actually very dangerous. A woman's fertility ability is a good indicator of her overall health. Not to mention the delicate balance between your hormones, mood, and energy levels. Want to see a cranky woman? Find one that is carb deprived, body fat of 14% and prepping for a competition! are digestion and hormone regulation! Here's the deal. Your body is a survival MACHINE. It's designed impeccably to keep you safe- NOT to keep you shredded. When you deal with stress whether too much physical exertion, mental strain, emotional burden, or not enough fuel from food, it will react to what it finds most important at the moment and normally that doesn't align with our physique goals. If your body deems itself unsafe it will take the appropriate measures. Cortisol is released, fat storage is turned on, digestion is deregulated and hormones are an afterthought....Don't brush off these signs that your body needs some love and affection. Make sure you're fueling your body with nutrient dense foods DAILY and let it tell you what it needs. When you and your body are in sync, the world is a happy place. Share below! 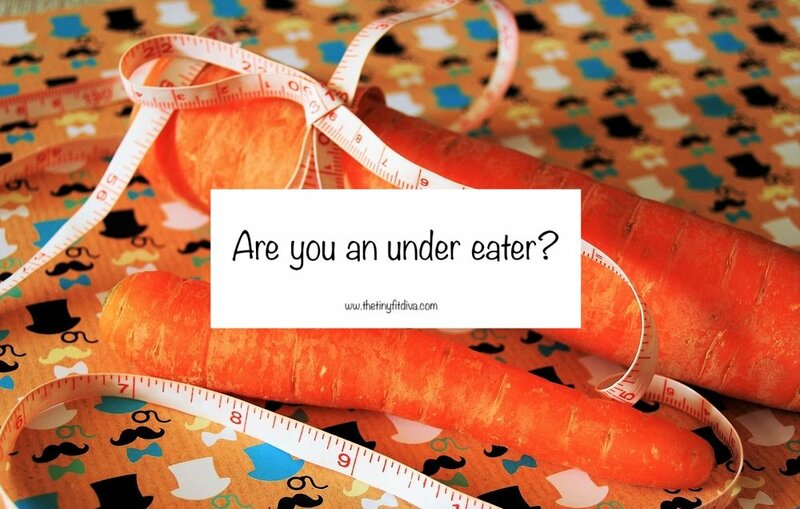 Have you discovered you're an under eater? Did something in this article ring true for you?